When a person slips, falls and is hurt as a result of negligence or disrepair, the person may have the right to sue for their pain, suffering, medical bills and lost wages. Sidewalks, stairs, floors, hallways, handrails in disrepair, uneven, wet, ice or snow-covered, or laden with debris are common causes of falls leading to injury. Slip and fall injuries can happen on a residential street, inside a home, in a parking lot, in a store, office building, casino or entertainment venue. It’s very important when involved in a slip and fall to document the situation and optimally get eye witness accounts. Slip and fall injuries will usually produce cash settlement, especially when the home or business owner is properly insured. However, not without a fight. And the fight can be a very lengthy process so you may not get any money to help compensate you for lost wages for quite a long time (see related article here). That’s why you should know about the Pre-Settlement Cash Advance option available with Interstate Lawsuit Funding. Anyone involved in a Slip and Fall case could be qualified to get a cash advance against the money you and your attorney are expecting in the settlement. The money you get in a lawsuit funding loan is yours to keep and to use for whatever and however you wish. It’s your money. In fact, you never have to pay it back until and unless your case settles in your favor. There’s no credit check either. You simply fill out the 30-Second Application on the right hand side of this page to get the process started and find out how much money we can send you. No tricks. No gimmicks. You qualify for a lawsuit cash advance based solely on the merits of your case. 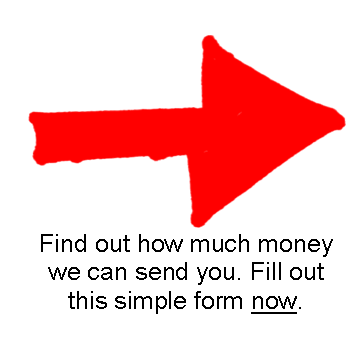 Find out how much money we can send you today! Did you Slip and Fall in a shopping mall? Click here. Convenience Store Slip and Fall? Click here. Office Building Slip and Fall? Click here.